We freely admit this fact. It’s taken us 30 years to develop a depth of expertise in our staff. Our customers benefit from our proven, educated experts who are dedicated to their craft. Hoffman’s team of landscape architects, designers, horticulturists and craftsmen work closely with you to achieve your specific goals. And, everyone in our company holds great respect for that interaction. In today’s busy lifestyle, convenience and trust have become a necessity. With that in mind you will benefit from the many ways Hoffman can help your property look its very best all year long. Plus, you only have to make one call for whatever you require. This is your practical and easy solution whether it’s a large-scale project or a single specific maintenance need. Successful relationships are the result of our attention to detail, communication skills, and best practices. That means informing you of any changing conditions to stay ahead of potential problems if they arise. This no nonsense approach saves you time, do-overs, delays and gets the most from your budget. 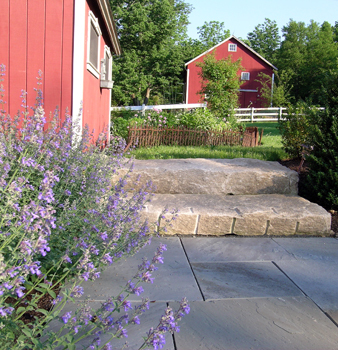 Well-managed landscapes can become an essential part of your outdoor living experience too. That’s why you should connect with Hoffman today. Projects are planned, budgeted, and critically supervised by Hoffman. No duplicated efforts or overlapping costs. No project tasks are delayed by some other contractor’s schedule. No guessing is involved as to when we will be there. You will find the difference phenomenal as you enjoy the fact that one company is privy to every detail, every dollar and every schedule of your outdoor initiatives. That assures you the advantage of being comprehensive rather than expensive. We match the right Project Manager for Design/Build or the right Property Manager for Maintenance, who is then assigned to your residence. You can be involved to any degree that suits your style and time. Whether it’s weekly face-to-face on-site or at assigned intervals. You enjoy the relief of working with professionals who actually become your Local Landscape Partners. Your property is our focus before we begin and long after we finish. You benefit from our own experts who excel in their field through education, licenses, certifications and hands-on experience. They have undergone apprenticeships as well as rigorous educational commitments. But most of all, you will have individuals on your property who bring along more than tools; they bring a passion for what they do. "Hoffman Landscapes has been the perfect one stop shop. They maintain our yard, they beautifully trim our shrubs, they help with my perennial garden, they deal with our sprinkler system, and they maintain our pool. Margaret has been a master in my garden and continually supports the crazy decisions that I have to plant perennials. I have found Joe Bamberger to be incredibly reliable, thoughtful, professional, and insightful. He swings by our property on a regular basis to make certain that his crews are taking the best care of my property. He is always available and he takes excellent care of us." "I am so pleased with this landscaping company, and in particular, our property manager, Joe Bamberger. His prompt attention to our every need has made a huge difference – my lawn looks gorgeous, as do my plants. Their professionalism and attention to detail is beyond compare. They are 100% terrific!" "I am very pleased with the entire process of working with Hoffman Landscapes. From the moment I met Rick when he came out to see my property I could tell that he was a man of vision and he would be able to turn my property into the lovely space I wanted. He listened to my ideas and gave several great suggestions of his own. He didn't want to draw a map of the plantings ahead of time because he liked to position them as he planted and saw how they worked together. This was one of the reasons I went with him. I felt he would really make the space work beautifully. The quality of plants, and after planting support has been very good. I recommend Hoffman Landscapes."